Eye Care Directory offers up-to-date information about the optical eyeglasses stores and eye doctors for your vision needs in the Frome of Somerset. You may arrange an free eye exam, buy prescription eyeglasses, RX sunglasses or donate your old eyeglasses by using the contact information in the directory. Why is there no pain with retinal detachment? In the first place, so sorry to hear that your classmate has got retinal detachment. So, generally speaking, retinal detachment would give rise to a dramatic decrease in the vision , thus causing a lot of troubles in seeing things clearly. However, typically, retinal detachment does not generate painful feelings. Maybe there are less nerves connecting to the brains. However, it is one of the most terrible situations we might run into. How to get rid of fluid retention under eyes? First of all, you need to find the reasons why you get this symptom. In most cases, this is caused by a lack of sleep, allergies or some other kind of eye diseases. Don' t panic, just cool down and everything will be fine. In terms of this situation, you might as well try such following ways. First of all, you need to drink as much water as possible. Water is very good for all the parts of our bodies. You really should realize this. Besides, you also need to keep a healthy diet. This is really very important cuz this decide how your body works. You should never ignore this. If you have already kept this good habit for a long time, then I guess it may be caused by your eye allergies. It is time for you to visit your eye doctor right away. How to improve eyesight without glasses? While you probably can't change your vision with diet alone, you can make sure your eyes have all the nutrients they need. Try to incorporate these foods into your meals such as Leafy greens,Omega-3 fatty acids,Citrus fruits and juices,Non-meat protein sources,A vitamin supplement that contains omega-3 fatty acids, lutein, zinc, and vitamins C and E.
To treat lazy eye in adults, the treatment can eliminated double vision or eye strain, enlarge the field of vision, or simply restore normal appearance. If you take surgery, doctors can realign the eyes with a technique rarely used in young patients known as adjustable sutures. Anyway, you shall consult eye doctors who is exactly know how to treat lazy eyes. Why do my eyes burn when i go outside? Your eyes must have got the infection. That is the reason for its burning symptom. You should wear the sunglasses to protect your eyes from the uv rays and other bad lights. At the same time, it will reduce the stimulation from the sun. You need to use the eye drops with anti-inflammation to cure the eyes. You could also use the warm compress to make your eyes feel comfortable. Since your eyes get blurry after reading in a period of time, it is just a sign to remind you get a rest. From this point, it is normal. Just take off your eyeglasses, and close your eyes for a rest. Or you can look some green plant that can help release tired eyes. It is believed that people shall take a break every hour when they read something so as to keep eye health. If you still get blurry vision after rest,you'd better visit an ophthalmologist. What causes nausea after lasik eye surgery? It is normal that there are several side effects after the lasik eye surgery. The nausea could be one of the side effects after the lasik eye surgery. After the surgery, you should better protect the eyes carefully. You may have the headache and eyes temporary symptoms. The nose and eyes nerves are interlinked. That is why you get the nausea because of the eyes problems. You should go to the hospital and accept the treatment. Is there a way to fix cross eyes? The crosses eyes can also be known as strabismus. They are caused by imbalance eye muscle. And in common, people use eyeglasses to help them. But there is no effective way to cure it. Also, i heard that Botox injection can be helpful to help crossed eyes. Anyway, you'd better consult an eye doctor for the seek of the eye health of your kids. 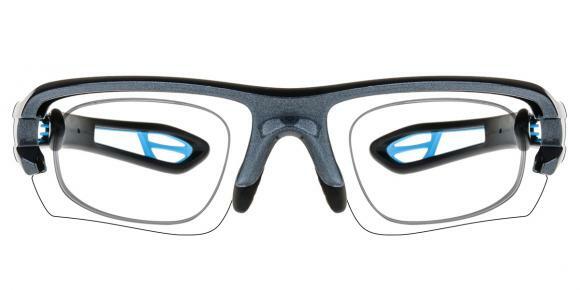 How are eyeglasses customized for an individual customer? 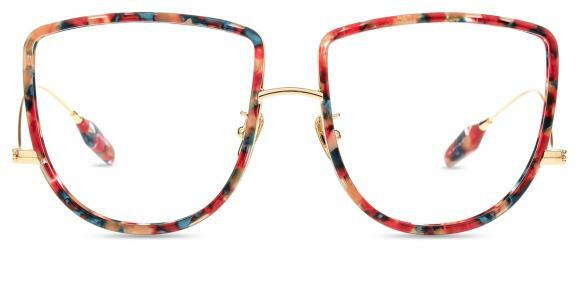 Eyeglasses can be customised in a number of ways. The first and most obvious is to hand craft a frame to fit facial characteristics. This is done by taking the measurements of a client and making the frame according to those measurements. Brands such as Atelier Eyewear (ATELIER eyewear,Made To Measure) take measurements using a clients webcam. The client can also customise the color of the frame and type of lenses. I think it's more of a "what hairstyles look good with your face shape" kind of thing and glasses don't really effect anything. But then again, people with glasses are seen as intellectuals, so maybe try medium dark brown hair. And try adding some more volume to your hair so the neck and up looks more proportionate with your body.